Rent River House Events | Corporate Events | Wedding Locations, Event Spaces and Party Venues. River House embodies romance and renewal; strength and longevity and loyalty and passion. All blended artfully with old world charm, creative flair and a hint of the tastefully imaginative. 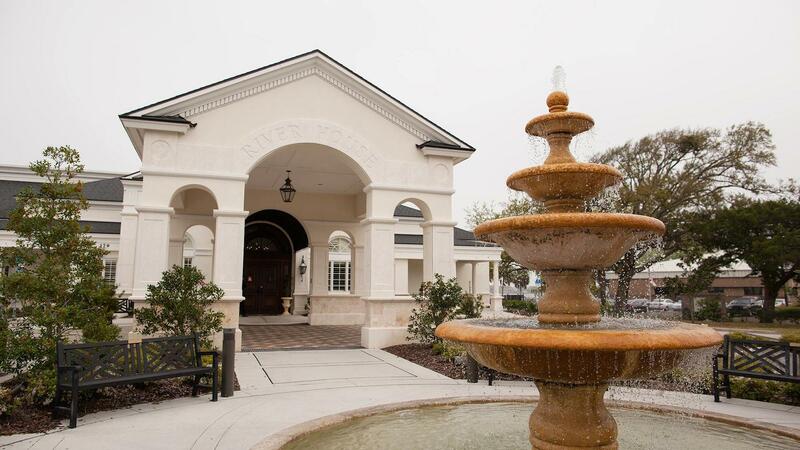 River House is located in the heart of downtown St. Augustine on the Intercoastal Waterway with breathtaking views of the St. Augustine Lighthouse and the Historic Bridge of Lions. The interior of River House is decorated so that each room has character and Old World charm. The color palette is soft, muted gold and sage green with hardwood floors or carpet. Ceremonies are typcially held on our back lawn which is located right on the edge of the water. This setting lends itself to beautiful pictures and a nice breeze for an afternoon or evening wedding. However, our thirty-two foot round hardwood dance floor in our Grande Ballroom can also be used for ceremonies. This too has a magnificent view of the water.